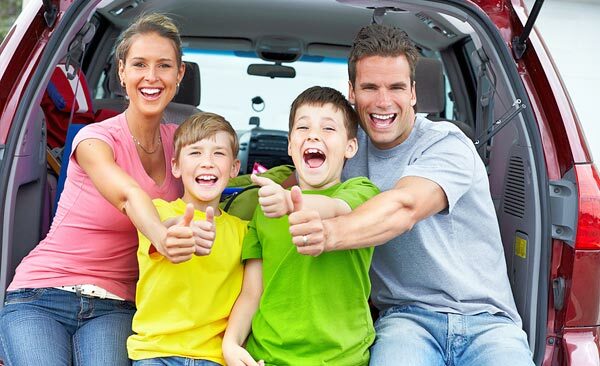 FAMILY CARS FOR ALL LIFESTYLES. The Honda Odyssey 2011 offers families greater interior functionality, a more distinctive style and improved fuel economy to make it one of the favorite car for the US families. Nowadays families come in different sizes and with different lifestyles, so automakers are designing models that meet the needs of each. Not only is space and an affordable price, but now buyers are also looking for efficiency, numerous amenities and an attractive design. A few years ago they could only choose between sedans or station wagons, but now the offer has been extended to practically all segments and precisely because of this, kbb.com published the list with which in its opinion are the best models for 2011 that meet the demands of families. The Chevrolet Suburban, a transport for people and cargo that debuted during the Great Depression, is celebrating its first 75 years as the king of continuous production in the U.S., as its construction has not stopped a single moment and remains like one of the favorites for family use. It remains as the queen of minivans and to don't lose its scepter, Japan's brand gave it a new look, more dynamic and modern. In addition of touches of comfort such as 16-inch screen able to projecting two different images, the Odyssey offers an excellent performance and comfort. For this crossover, Ford used a car platform, resulting in better performance, handling and efficiency. Although doesn't have the same qualities of trailer or driving off-road, the Explorer is an excellent choice of family car thanks to the comfort and interior full of technology and quality materials. This Chevy SUV remains as one of the favorites of the market. His qualities: space for eight passengers, large cargo space, a good level of performance and the highest rating in crash tests. As if this were not enough, Chevrolet improved its exterior design. The car is ideal for adventurous families and for 2011 comes with a new look, as Jeep redesigned the Grand Cherokee and now it looks much more refined, both inside and out. And of course, it could not miss its excellent off-road capabilities which are undoubtedly its strong point. With a very peculiar design, the Flex has become more popular thanks to the combination of a V6 engine of 262 horsepower and a wide range of comfort functions. For adventurous families, there is the option with twin-turbo engine and 335 horsepower, all for a starting price below $30,000. Before the boom of the minivans and SUVs, large sedans were the choice of families. Currently there are several models that meet the needs of families like the 300. Priced starting at $30k however it can easily exceed $40k, but the most basic version comes with enough equipment so that all to enjoy the tours. The South Korean model sneaked into the favorite list thanks to its level of versatility, as it can expand its capacity from two to three rows of seats. It also has an affordable price, a high grade of efficiency, handling and attractive features that put it on the list of kbb. Hyundai renewed the Sonata made it more sophisticated but without losing practicality, thanks to this the sedan has impacted in its segment. Besides an attractive styling, the car has multiple security systems, interior quality and also there is the hybrid version and which is supported by one of the best programs of guarantees on the market. For those looking for something more fun it is the Golf, European style which does not deny its Germanic origin. This hatchback stands out for its versatility and interior that make it more expensive than it actually is and thank to this mix, is that the Golf has become one of the favorite of smaller families.